The air smells of a curious mixture of lycra, pasta, and performance-enhancing drugs. That can only mean one thing: The Giro d'Italia is in town, cycling through Amsterdam for the weekend before heading off to Utrecht and then eventually to the motherland. 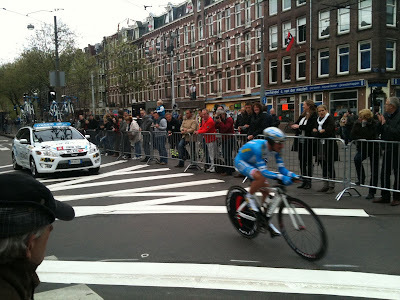 From what I can tell, this poor man's Tour de France is a big deal to many European sports fans as city officials in Amsterdam estimated up to 500,000 visitors came for the weekend to watch a few hundred international riders compete for the maglia rosa, the pink jersey. And it did knock soccer, the only other televised sport here, off the headlines for a few days. But its appeal escapes me. It was admittedly mildly impressive to watch these juiced-up cycle jockeys whiz through the streets at up to 50km/h, with zero room for error between harrowing turns and rabid fans. But it all seemed way too much like a video game - with bikes that are so technologically enhanced that they hardly resemble bikes, helmets inspired by the movie Alien, a team car that trails each rider with instructions and encouragement (and presumably syringes), and calves and thighs so technologically enhanced that they hardly resemble calves and thighs. Hopefully World Cup fever next month will make up for it all, as I privately lament the absence of the NHL and NBA playoffs in the meantime. Till then, er, yay cycling robots! Hints of doping notwithstanding, just because you don't understand it doesn't mean you can blaspheme professional cycling. "Poor Man's TDF"?? 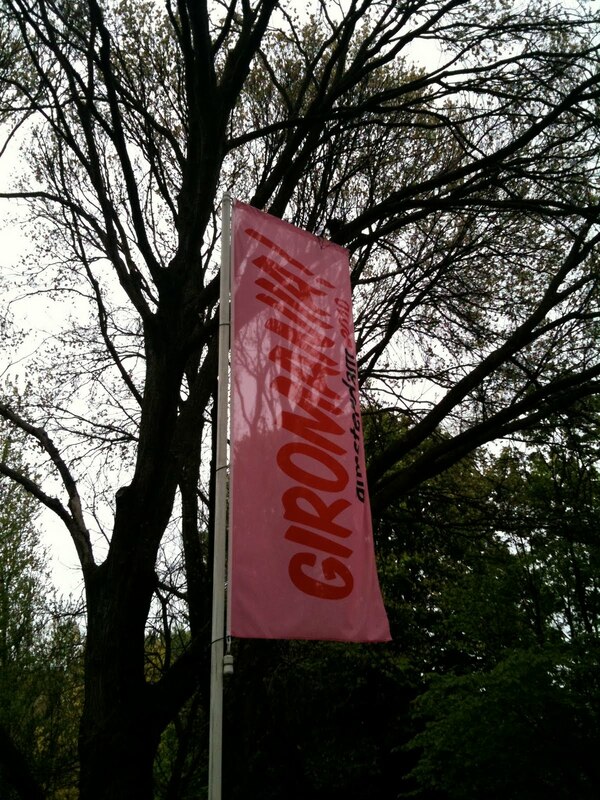 The Giro is one of the hallmark events of the season's races, I'll have you know. 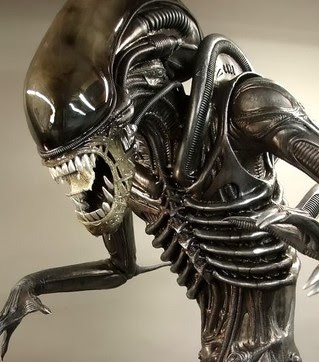 And the need to compare a time trial rider (with completely separate gear than normal peleton wear) with an HR Giger space character is totally baseless. It's true I don't understand the finer points. I do understand that doping completely undermines the credibility and integrity of any sport, particularly when it is as rampant as it has been in cycling. So a "notwithstanding" comment is somewhat disingenuous.